Are your lights flickering, or is your circuit breaker tripping? Older homes can be a fire hazard and there are many reasons to check out the wiring on your home. ADI Electrical Services lead the way when it comes to home rewiring. Is your home electrical wiring completely safe? 30% of home fires are caused due to faulty wiring, and ADI Electrical Services are here to help you. The U.S. Fire Administration (USFA) has some excellent suggestions to keep your family secure by ensuring your wiring is well-protected, and that you do not become a statistic! Every year there is fire-related property-damage caused that totals approximately $1.1 billion, so let’s talk about we can keep your home safe and secure. Perhaps your lights are flickering, electrical circuits are fusing or your appliances do not have sufficient power to run consistently. If your circuit breakers regularly trip, there is a burning smell, discolored outlets or you have any cause for concern, give us a call as it may be time to considering rewiring your house. 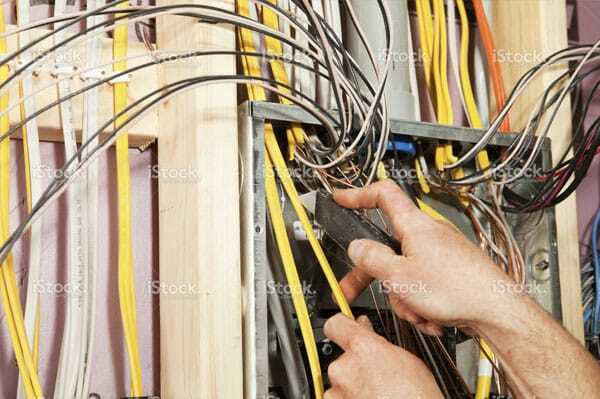 When you suspect there may be a wiring problem, and call ADI Electrical Services to visit you at home, the first thing we look at is the quality of the existing wires. If you have Aluminum Wiring, Cloth Wiring or Knob & Tube Wiring (also known as K&T Wiring), all of these will raise an immediate concern and suggest it is time to rewire. As the LA Times reported, there are huge dangers presented by alumnium wiring, as it melts at a low temperature. This presents a massive fire hazard. Similarly there are problems with Cloth Wiring which can set on fire very easily. K&T Wiring is also a problem and is no longer used because of the hidden risks. Why has ADI Electrical Services been in business for over 20 years? We put customer happiness as our top priority! Our team consists of expert electricians and all of our work has a lifetime warranty. Don’t just take our word for it – please take a look at some of 4000+ happy customer reviews on Angie’s List. Call us if you have any questions and we will help you assess whether it is a good idea to consider rewiring your home. The rewiring process typically takes 5 days for a standard 1500-2000 sq foot home, and a further two days for changing your electrical panels and plug sockets. More circuits will be added to the kitchen and throughout the house to ensure your home is in line with new technology and the latest codes. What will happen to my house during the rewiring? As we rewire your home to add new plugs and switches, conduits and replace wires where needed, we take a lot of care with your home! ADI Electrical Services are very clean. We cover everything as if we are about to do surgery on your house. Our workers wear bootees on their shoes, vacuum carefully after the work and will often leave your place cleaner than we found it. If we have to cut through drywall, we will patch it back in preparation for painting, and also patch stucco if needed. Any holes created by A.D.I. will be patched and ready for repainting. Everything we install will meet the latest safety codes. 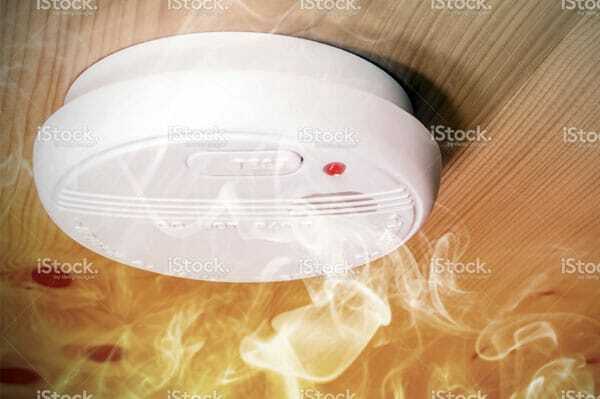 To ensure your safety, all of the smoke detectors and carbon monoxide detectors will be interlinked. In the case of a fire, the alarm will sound throughout. Who will be my point of contact during the work? We appoint one foreman who gets assigned at the start of your work and stays throughout the whole job from start to finish. Let ADI Electrical Services bring safety to your family by bringing you up to date on your electrical wiring – call us today! Whether you are rewiring your house in Los Angeles, Ventura, Orange County or beyond, give us a call and we will help you with rewiring.